With the arrival of the automobile on the scene, Butte des Morts needed a business to service automobiles. 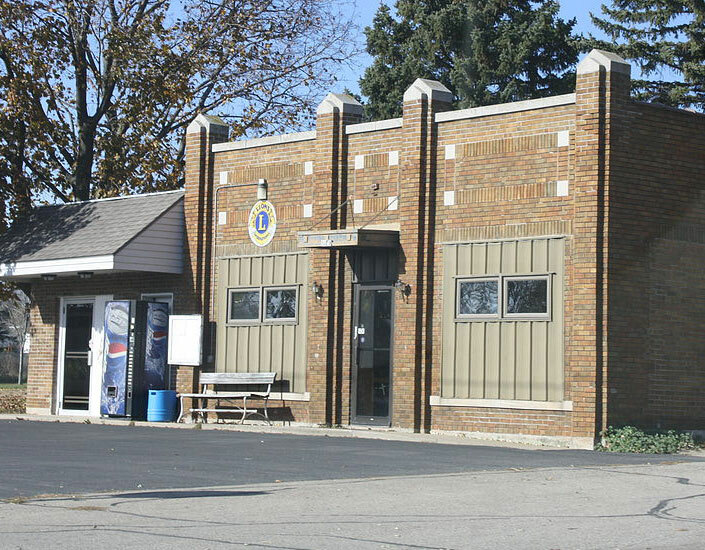 The Klemp brothers opened a service station in the 1930s. When a new service station was built by the Klemps on Highway 110 about ¼ mile east, John Klemp opened a grocery store in the building with a meat counter and walk-in cooler. The community post office was located there as well. In the 1950s the U.S. Postal Service objected to the post office being located in the store, so the building was converted exclusively to a post office. The Butte des Morts Lions Club was founded in the late 1970s and held its meetings in a storage room in the building. The Lions ultimately purchased the building and when a new post office was built, the Lions occupied the whole building and it became the Lions clubhouse and a building for the community to use for events and meetings.